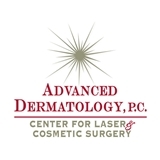 Advanced Dermatology PC (Franklin Square) - Book Appointment Online! Advanced Dermatology P.C. and the Center for Laser and Cosmetic Surgery (New York & New Jersey) is a premier medical practice with locations throughout Long Island, Queens, Manhattan and Ridgewood, NJ. We provide the widest range of medical, laser & cosmetic dermatology and plastic surgery services in the NY Metropolitan area and at our NJ office. We are proud to own more dermatologic lasers than any hospital or medical practice on Long Island. Each board certified physician in our practice is recognized as an expert in his or her specialty. It was fair,the wait wasn't long and the receptionist was very efficient. I probably should have asked more questions in regard to my condition because I left not knowing the cause of it. However I was given a prescription and a follow up appt. My visit went very well, a lot quicker than I anticipated which is great. Dr. Taglienti was excellent and really got to the bottom of problem I was experiencing. I would definitely recommend him to anyone looking to get work done in a judgement free environment! I have been seeing Dr. Flashner for several years and recommend all my friends who have need of a dermatologist. Dr Flashner has saved my life by discovering melanoma twice in the very early stages and by recommending treatments. I wouldn't go to anyone else. She is so thorough.!!!! This practice sees patients at 31 locations.